"A Chronology of Kansas Political and Military Events, 1859- 1865," p. 283. John G. Clark, "Mark W. Delahay: Peripatetic Politician; a Historical Case Study," p. 301. Emory Lindquist, "Religion in Kansas During the Era of the Civil War (In two installments, Part One)," p. 313. "U. S. Army and Air Force Wings Over Kansas—Continued," p. 334. 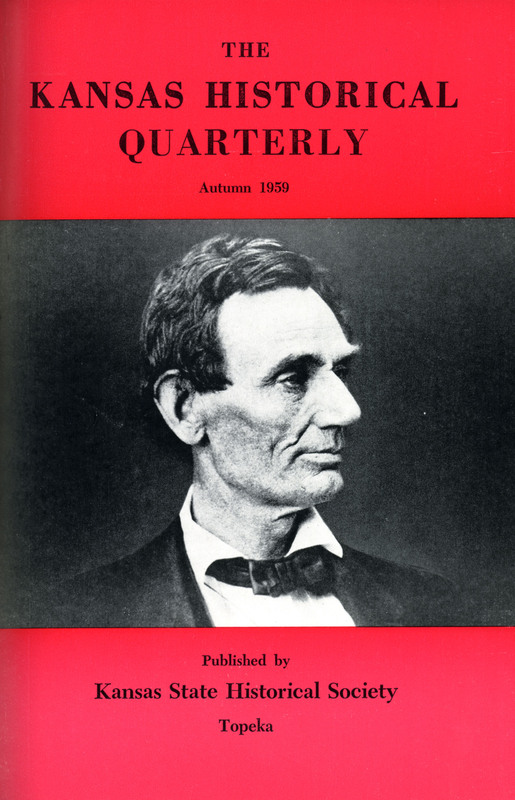 A caravan to cover Lincoln's Kansas itinerary of 1859 is being planned for early December, 1959. Further details will be published in the newspapers.